By developing staff skills to facilitate the provision of resident-centred care, Barchester has created an ‘outstanding’ care home for older people. Less than 2% of all the 20,853 care by the Care Quality Commission receive an overall ‘Outstanding’ rating, so it takes something pretty special to achieve this pinnacle in an elderly care home. 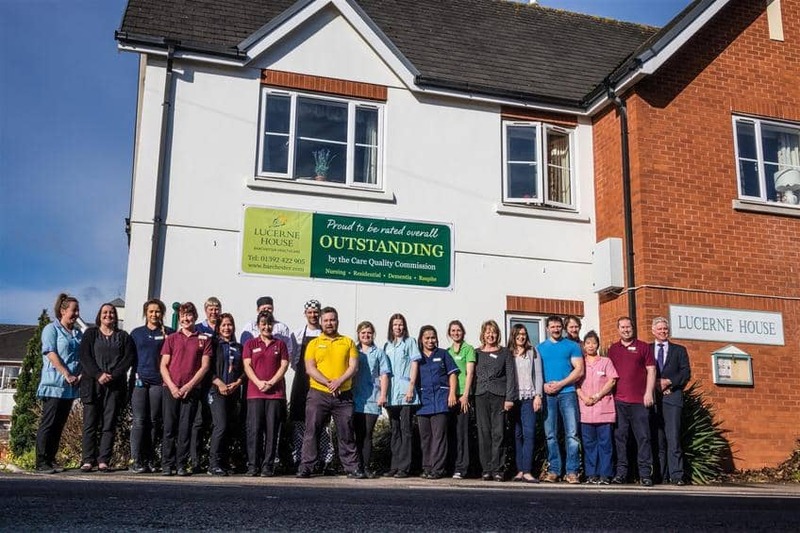 The whole team at Barchester’s Lucerne House in Exeter were therefore delighted to receive an overall ‘Outstanding’ rating in their recent CQC inspection. Joanne goes on to say: “We put our residents first, but the only way we can do this successfully is by putting our team first too. Empowering our team and valuing their opinion is one of the most positive things we do. This not only enables our staff to work well together as a team, but to also take ownership of their responsibilities. It’s all about listening to your team; and that is something I am proud to say we do very well. “The team are encouraged to make suggestions on how we can improve our home, and the support we provide. One of our nurses had some wonderful ideas around improving our end-of-life care. We have acted upon the suggestions and now work closely with, and take referrals from, our local hospice.